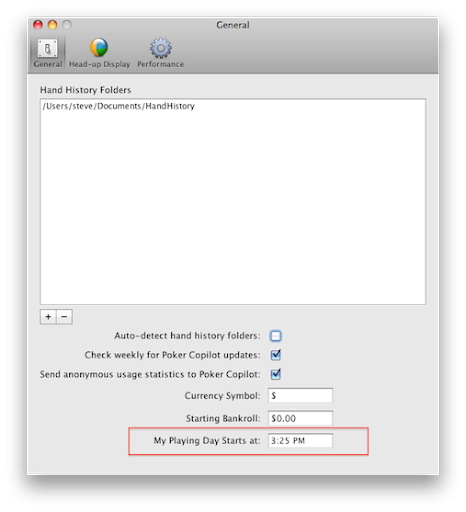 The next Poker Copilot update has a new preference: “My Playing Day Starts at”. This is mostly useful with the new “Day” summary, which will also be in the next update. This is a feature to use with caution, as you may end up forgetting that you are telling Poker Copilot mess around with the concept of day versus 24 hour periods. Then you’ll find it mysterious that hands played this morning in real-world time were played yesterday in Poker Copilot time.